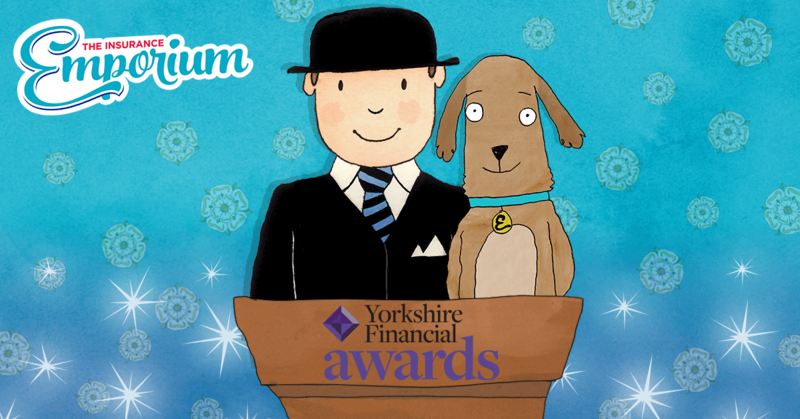 WE’VE BEEN SHORTLISTED FOR THE YORKSHIRE FINANCIAL AWARDS 2019! At The Insurance Emporium, we’re always working hard to provide the best possible service to our customers! We’re delighted to announce this diligence has recently been recognised with a nomination for the Yorkshire Financial Awards 2019! Over the last six months we’ve already been nominated for the Press Business Awards, Customer Experience Awards and Insurance Choice Awards. This time we’ll be dusting off our finest outfits for the ceremony in Leeds! The awards ceremony, taking place in February, will be the inaugural Yorkshire Financial Awards, run by Barker Brooks Communications. Yorkshire has become the UK’s premier financial hub outside of London, and the awards have been set up to celebrate this amazing success! On Thursday 21st February, we’ll be getting all dressed up for the ceremony, which will be held at New Dock Hall in Leeds. It’ll be a black tie event, including a welcome reception and dinner, followed by the awards ceremony itself. So we’ll be looking to scrub up well! We’ve been shortlisted for the category of Best Insurer! Competition for the awards has been fierce and our name will be appearing alongside many other financial companies, all vying for the chance to win. Our fingers are firmly crossed! Our nomination hasn’t come out of thin air, it’s been the result of continuing hard work! Customer satisfaction has always been our number one priority, and our goal is to provide insurance that makes the process as stress-free as possible. We understand that our policy holders are individuals, so our insurance can be tailored to suit all lifestyles and budgets. “As a proud Yorkshire-based company, it is a real privilege to have been shortlisted in the Best Insurance category of these awards. Our goals always revolve around the satisfaction of our customers. We provide competitive, quality products through our jargon-free website, and our fully-trained and engaged staff are also on hand to ensure as smooth a customer journey as possible. Of course, we hope to be successful at the upcoming awards! Regardless of this, it’s a reward in itself to receive the nomination in our home county! Whatever the outcome, giving our customers the best products and service will always be our top priority. So whether you’re after insurance for your pet, horse, wedding and much more, head to The Insurance Emporium to see what we have to offer!